- Publisher This volume provides a vivid and engaging introduction to contemporary philosophy of religion. 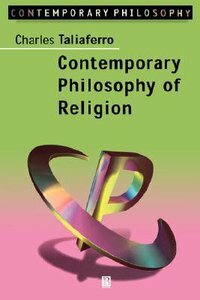 About "Contemporary Philosophy and Religion"
This volume provides a vivid and engaging introduction to contemporary philosophy of religion. Charles Taliaferro is Professor of Philosophy at St. Olaf College. He is author of "Consciousness and the Mind of God" (1994), and co-editor of "A Companion to Philosophy of Religion "(Blackwell 1997) and "Philosophy of Religion: An Anthology" (Blackwell 2002).